The Federal Trade Commission (FTC) has launched an investigation into “loot boxes” in video games. Loot boxes allow players to pay for the possibility to win digital goods inside the game, and many critics of the $30 billion industry have equated the practice with gambling. At a congressional oversight committee hearing earlier this week, FTC chairman Joe Simons has said the commission will launch an investigation into loot boxes after Senator Maggie Hassan of New Hampshire sent a letter to the Entertainment and Software Ratings Board asking that the practice be looked into. In the letter, Hassan wrote, “The prevalence of in-game micro-transactions, often referred to as ‘loot boxes,’ raises several concerns surrounding the use of psychological principles and enticing mechanics that closely mirror those often found in casinos and games of chance,” as reported by NBC news. The practice, which consultancy Juniper Research estimates generates the video game industry some $30 billion per year has been compared to gambling by many anti-gambling activists who argue that the unregulated practice can be highly addictive. Found in most major video games today, including popular blockbusters the likes of Star Wars: Battlefront II, Overwatch and Counter Strike, loot boxes ask players to pay real currency in exchange for different types of in-game packages that can include everything from new weapons and armour to new characters, costumes and even dance moves. 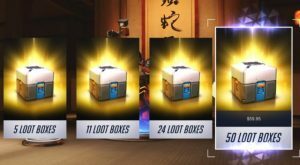 One think that separates loot boxes from other in game purchasing options and that makes the practice similar to gambling is that players don’t actually know what they will get from the box until after they have paid. Most loot box items are fairly generic, albethey coveted player accoutrements, but some are extremely rare, much like hitting the jackpot in a slots game, and can be sold on other secondary markets on the internet for substantial sums of real-world currency. For example, certain skins, items that change a gun’s look and feel akin to giving it a digital paint job, found in loot boxes in Counter Strike are currently up for sale for thousands of dollars. Recent research conducted by PLoS ONE has linked loot boxes to problem gambling. In a survey of over 7,000 gamers concluded that “buying loot boxes may therefore lead to problem gambling amongst gamers”. The FTC and anti-gambling advocacy groups have not been the only ones to cry foul when it comes to loot boxes, even gamers themselves are raising their voices. After Star Wars Battlefront II included loot boxes that sometimes had items that would make players stronger, many in the gaming community said that such a move was the equivalent of a “pay to win” system. In fact, the negative response was so strong that the game maker Electronic Arts completely removed loot boxes from its games. In light of the criticism, more politicians began to take notice, including some in Hawaii who have compared the Star Wars Battlefront II system to an online casino and called it a “predatory practice” and a trap designed to lure kids into spending money. Hawaii State Representative Sean Quinlan even went so far as to state that “we shouldn’t allow Star Wars to encourage your kids to gamble”. In fact the backlash has been wide spread and is growing. 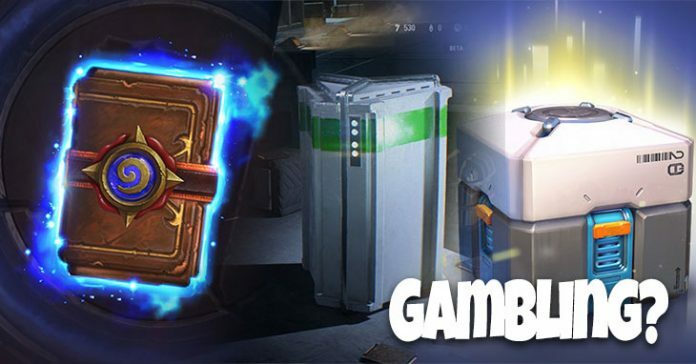 An Australian senate committee earlier this week suggested a “comprehensive review” of loot boxes, in light of the fact that the games are squarely marketed at children. Viewed as tempting children to gamble and exploitative, both the Netherlands and Belgium have banned the practice entirely, labeling it as a form of gambling.